The Portland Thorns and Seattle Reign expect Saturday's National Women's Soccer League semifinal match will unfold differently than did last Friday's regular-season match. There are good reasons for that view. Two of them are Megan Rapinoe and Allie Long. Two of Seattle's most recognizable players watched last week's 3-1 win for Portland from the Providence Park stands. Both are expected to be on the field at noon Saturday when the rivals clash for the fourth time this season — and for the first time ever in the NWSL playoffs. Another difference this week are the stakes. Last week, the Thorns had to win to earn home field for this semifinal while the Reign would have been fine with a tie. That scenario meant Portland was asserting itself in the attacking third, going for the win. This week, a loss ends the season for one of these teams — and that could mean a more pragmatic approach from the Thorns. The presence of Rapinoe on the wing will impact the role of Thorns right back Ellie Carpenter. The 18-year-old was able to surge forward last week, as she did on the play that produced the tying goal. If, as expected, former Portland Pilot Rapinoe plays, her presence will force Carpenter to be careful about choosing to join the Portland attack. 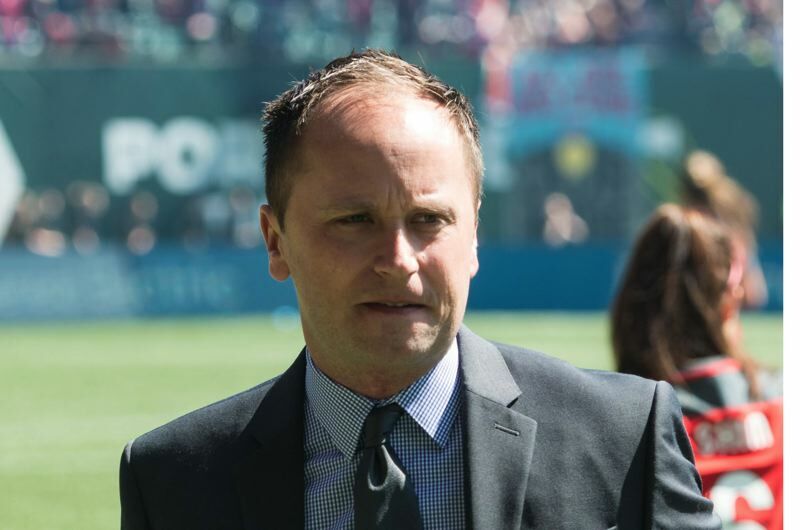 "Not every team has a winger that can change the game in a moment," Thorns coach Mark Parsons says of Rapinoe, who finished the regular season with seven goals and six assists. Two of the more intriguing players in this match are Portland striker Caitlin Foord and Long in Seattle's midfield. Foord came to Portland from Sky Blue FC via Seattle in the trade that sent Long to the Reign. Having missed most of the season recovering from foot surgery, Foord has yet to score or assist on a goal for the Thorns. But in six appearances (two starts) the Australian striker has demonstrated the range of ability that won her the Best Young Player award at the 2011 FIFA Women's World Cup. Christine Sinclair, who knows a thing or two about playing striker, says Foord taxes defenders both by running behind them and by being strong on the ball with her back to goal. "It's been a joy to play with her," Sinclair says. "Playing underneath her, she's able to hold up anything, and she's able to find her teammates and then we can start our attack from there." The North Carolina Courage (53 goals scored, 17 allowed) dominated the league in the regular season. Portland's 40 goals were second most and Seattle's 19 allowed the second fewest, so the focus naturally is upon how Seattle will try to rein in Sinclair (nine goals, six assists), Tobin Heath (seven goals, seven assists) and Lindsey Horan (13 goals, two assists). Seattle coach Vlatko Andonovski says the silver lining to last week's loss at Portland is his team is prepared for the Thorns at their best. "We have a clear picture of where they are at, and we have a clear picture of what we need to do," Andonovski says. That picture is of a team hitting its stride. For the third year in a row under Parsons, Portland has surged over the second half of the season. Over the last three seasons, Portland went a combined 22-6-2 in the final 10 games of the regular season. A year ago, the Thorns went 9-2-2 to close the regular season, then won two playoff games to earn the club's second NWSL title. This season, Portland went 7-1-1 to close its schedule. Getting players healthy — none more significant than Heath — was big. So was belief based on recent seasons that the Thorns would play their best soccer when it mattered most. "This team has, over the course of the past few years, the unique ability to find their best when our backs are against the wall," Sinclair says. "Whether that's the poor start in season and having to win a bunch of games at the end or in individual games, when our backs are against the wall, I know we're ready to perform." Seattle went 2-1 against Portland this season, winning 3-2 at Providence Park in early May and 1-0 at Seattle in late June. As he consistently does, Parsons says his club needs to focus on improving on last week's performance to earn a spot in the Sept. 22 NWSL championship match. "We're not 1-0 up because we're at home. We've got to come out with a similar mind-set that we did during this last game," Parsons says. "A big positive for them is they're going to be very hungry to fix things and have a better result," the Thorns coach adds. "We'll have to be better in some defensive areas. And we'll have to have different and better solutions on the attacking side." • If the match is tied at the end of regulation, an additional 30 minutes (two 15-minute halves, no golden goal) will be played, followed by a penalty-kick tiebreaker if the game is tied after 120 minutes. • This marks Portland's fifth playoff berth in the NWSL's six seasons. This is the third year in a row the Thorns have played a home semifinal. They lost 4-3 in overtime in 2016 to the Western New York Flash (now North Carolina) and thumped Orlando 4-1 last season en route to Portland's second league title. • The Thorns are 4-2 all-time in playoff matches. Sinclair and Heath have appeared in all six. Sinclair leads the club in playoff goals with three. Heath, Horan and Emily Sonnett each have scored twice in the playoffs. • The other NWSL semifinal, between North Carolina and Chicago, will be at 6 p.m. Tuesday at Providence Park. The match was moved to Portland because of Hurricane Florence. Tickets for that match cost $10. • Tickets remain available for the NWSL championship match, which takes place at 1:30 p.m. on Sept. 22 at Providence Park.